Note: this joint event now takes place on October 23, not October 18 as in our brochure. Join us for a fun and exciting Slam extending the fun of BFW18! The Windsor Poetry Slam is back again for its monthly slam, and as always it is it going to be a great night of poetry! 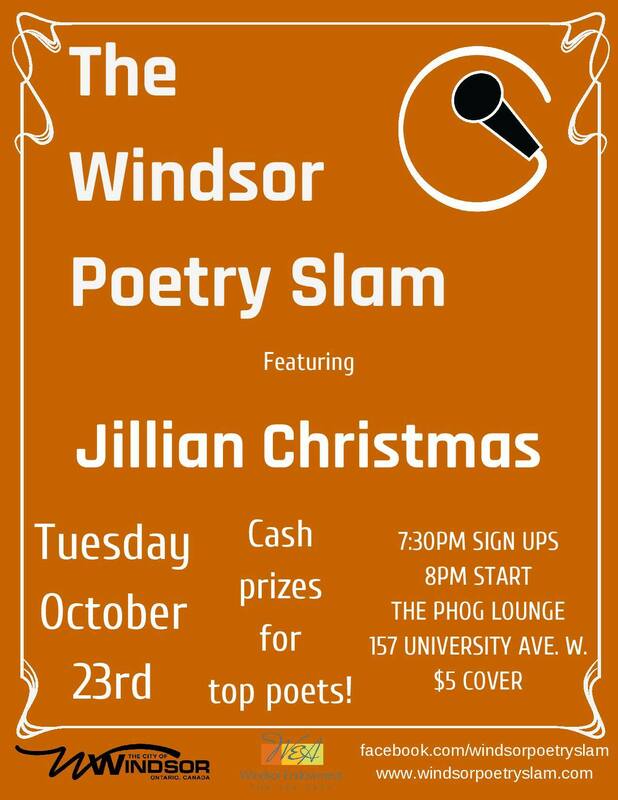 This month’s slam takes place at the Phog Lounge on Tuesday, October 23rd!! Doors will be open at 7:30 pm, show start will be 8 pm. If you want to slam please be there by 7:45 pm at the latest to sign up. As always, two rounds of three-minute poems, along with an open mic portion for anyone who wants to share their poems but not compete in the slam. This month, we are very excited to announce that our feature is Jillian Christmas!